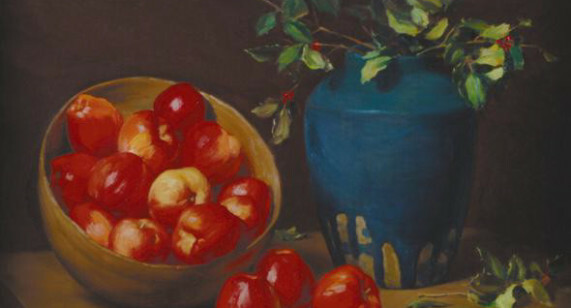 Two large still life paintings of apples initially purchased from Joseph Henry Sharp by Charles Bair in 1908 will be included in the show “In Poetic Silence,” now opened at the Bair Museum. This will mark the first time in 103 years that these two paintings have been reunited and displayed in a museum show. The new Charles M. Bair Family Museum will feature a special temporary exhibit of work by one of the most beloved painters in America, Joseph Henry Sharp, through September 25, 2011. 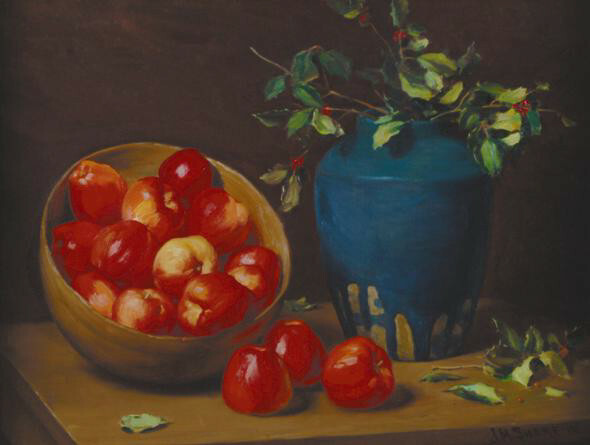 Sharp, best known for his paintings of North American Indians and for his evocative landscapes of the west, produced a large body of floral paintings, still lifes of peony bouquets, wild asters, sage, daffodils, dahlias and many other flowers – that all began with a box of Red Delicious apples.